It causes pain, stiffness and reduced mobility but can also mimic the symptoms of other diseases such as Arthritis. 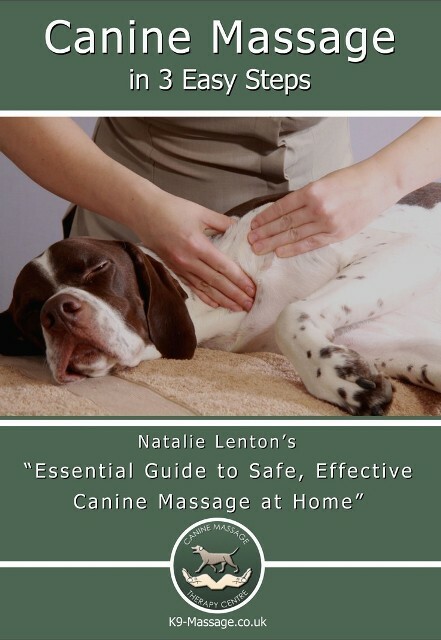 It is known to hold patterns of emotional memory; for instance in the case of a dog a traumatic experience such as a bereavement, a rehome, or an attack can all produce myofascial issues that you as an owner will often see as nerves and anxiety alongside more common issues such as pain and restricted movement. Fascia helps to support, protect and separate tissues of the body like bone and muscle and immediately is able to affect every cell in the body. Fascia influences EVERYTHING in the body. It wraps every organ, muscle and bone and when it becomes restricted it becomes dysfunctional. We’re going to use the analogy of an Orange to help you understand this substance which is everywhere in yours and your dogs body. Think of Fascia like an Orange. The outside skin of the orange is the like the dogs skin, however the dogs skin should slide nicely with the superficial layer of fascia. Think of the superficial fascia like the thicker pith of the orange. When Myofascial restrictions and pain are present this ‘slide and glide’ action is either reduced or inhibited. The fascia becomes tightened to the skin, increasing nerve and pain sensitivity (hence the twitching of the skin)and clasps down over the muscle inhibiting its natural movement, it can also cause nerve dysfunction, oedema and patterns of pain referral. But it doesn’t stop there, each segment of the orange is also wrapped in its own sac. So basically a muscle has its own sac made out of fascia. This is called Endomysium. Individual muscles are wrapped and divided by intermuscular fascial septum. These should also slide and glide. Now, look even further and you will see that within each segment of orange are thousands of individual little segments that hold the juice. This can be likened to a a muscle which is wrapped in fascia (this types is called Endomysium) and then every individual fibre inside it is wrapped again! Its pretty amazing stuff. It quite literally is the 3D network of your body Whats more if you could extrapolate fascia from the body you would be left with a perfect 3D model of you as it holds contours, features and posture too. When it becomes impeded you will see one of more of the previously listed symptoms. Why does Fascia in a dog become Dysfunctional?